Gary Cohn’s Exit Isn’t a Crisis, It’s an Opportunity! RUSH: So Gary Cohn has resigned as the chief economic adviser in the Trump administration, and, of course, the Drive-Bys are seizing on it. They can’t let it go. It’s just the latest sign of chaos, and the worst thing about it is it signifies great brain drain. All the smart people are leaving Trump. And it means that Trump doesn’t have anybody, he doesn’t have anybody who can keep him on the right road. He doesn’t have anybody that can keep him pointed in the right direction. There’s nobody left that can tame Trump’s wacko impulses. There’s nobody. It’s a dire, dire set of circumstances. 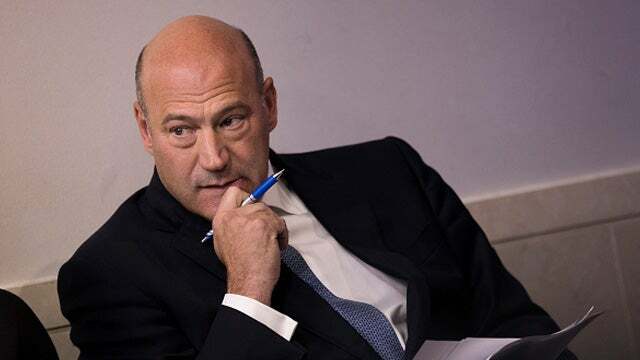 Gary Cohn. It’s not a dire set of circumstances. It’s a freaking opportunity. He had a guy in there who was for the Paris climate accords. He’s had a guy in there, Gary Cohn, Democrat, who was for a carbon tax. It’s a golden opportunity to get a Republican economic adviser in there, finally, which should have been done the first time around. This is not a chaotic thing. This is not a disaster. It’s an opportunity. And I want to go to the audio sound bites. “Willllllburrrr” Ross was talking about this on CNBC just this morning. And of course CNBC, like everywhere else, this is a disaster, this is the end of the world. And the point they’re making is that this is the great brain drain and there’s nobody left there that can tell Trump when he’s wrong. There’s nobody there to keep Trump heading down the right charted path. And now Trump is free to go all over the wacko world wherever he wants to go, and there’s nobody that can rein him in. And that’s why we remain at great risk, and that’s why this is a disaster. So here’s Wilbur Ross talking about it. ROSS: Let me first reflect on the job report that just came out. Remember, the prior administration, many economists were saying, “Oh, you can’t have rapid growth. You can’t have much more increase in employment.” It’s happening. These reports, five in a row, are very, very strong reports. I think you should judge the president and you should judge his decisions by what actually happens, not by speculation as to what might happen or some fantasy thing. This president is determined to make a strong economy continue, make job growth continue, and to do it in a very orderly and organized way. 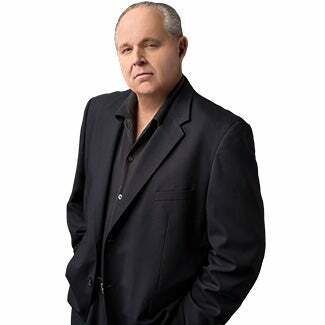 RUSH: Now, that’s Wilbur Ross. Now, Wilbur is the secretary of the Department of Commerce. Wilbur’s a local. He has a home here in the Palm Beach area. And he’s a billionaire and a brilliantly successfully businessman and knows what he’s talking about. And he’s got the entirely correct perspective here. He’s also somebody that’s unrattled by all of this media cage rattling. He’s a steady, just oar in the water that doesn’t get sidetracked by any of this, and he’s able to keep everything in perspective. And he’s exactly right here. Let’s reflect on the job report. There was 255,000 new jobs created in February — 255,000 — way beyond expectations. You know what? He’s exactly right here. If you go back… We made this point I don’t know how many times. That’s why I’m glad to hear “Willllllburrrr” make it. If you go back… (interruption) Well, that’s how Mister Ed said it. 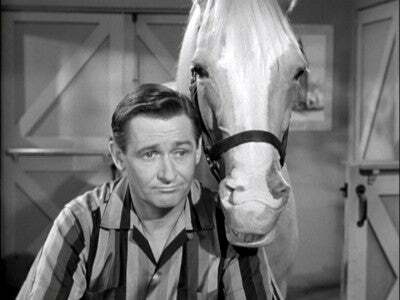 Mister Ed, the talking horse. His human owner was named Wilbur. “Willllllburrrr” is how he pronounced his name. Every time I see Wilbur Ross, that’s what I think of. Sorry. I know it dates me generationally, but it is what it is. But all during the Obama administration, really, folks, they were. They were talking to us about realizing that America’s best days economically were behind us. Remember when Trump in the campaign talked about 3% economic growth? Remember what the Obama era economists and most of them in the establishment said. “That’s obscene. That’s misleading. That’s outrageous to promise people that, to suggest that. “We can’t approach 3% economic growth anymore! Not in this globalist economy.” They didn’t even try. And Obama’s economic growth, his GDP growth never exceeded 1.5% in any one quarter! And I, to this day, remain convinced that it was intentional. I think we elected a president who installed people nearby in his cabinet who had as their intention to transform this country away from superpower status. I don’t have any doubt about it. And they succeeded. We were a nation stagnating. We were a nation in economic flat-line territory, and they told us, “Hey, this is the new normal,” and they told us, “We can’t get much more employment, and we really can’t have economic growth that’s much higher than what it is without causing all kinds of problems and chaos.” They were doing their best to condition everybody, “Whatever your life is now, this is it. Your chances for advancement, your chances for improvement, significant growth? “Sorry. That may have been true for your parents’ and your grandparents’ generation, but America’s time is up.” Now, they didn’t use those words, but that was the message. So Trump comes along in the 2016 campaign and starts singing an entirely different tune. And in less than a year and a half — 15 months — look at the robust economic turnaround that’s taken place. There’s a story in the Stack today about a public opinion poll on tax cuts and how the public is continuing to poll higher in terms of approving tax cuts. But do you know what? According to this poll — and we believe it — the numbers of Americans who now approve of the tax cut in this poll still under 50%. How the hell can that be? Well, I’ll tell you how the hell it can be. 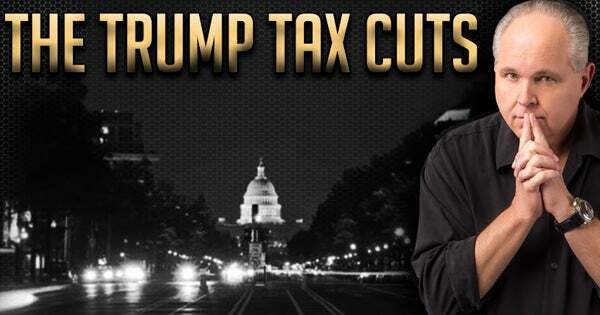 The media and the Democrat Party for months, let’s say weeks, told us everybody that Trump’s tax cut was not a tax cut, that it was actually a tax increase for average Americans. The only people that were gonna get cuts were Big Business types, corporations, and Wall Street types. They pummeled people with this, and the American people ended up believing it, until their paychecks started coming in after the tax cuts had been implemented, and they saw that it wasn’t true. There’s no way that this tax cut should be polling under 75% approval. I take that back. Maybe 60%. You’re gonna have some libs out there who are gonna oppose tax cuts no matter what, because it’s, in their mind, depriving god — i.e., government — of money. But it’s outrageous. It’s trending in the right direction, but it’s going very slowly. And it’s gonna continue to trend up, because the tax cuts are continuing to kick in, and people’s disposable income is increasing. Do you know what the New York Times did? The New York Times — in order to find a couple who would not benefit from Trump’s tax cut — actually had to invent a couple on paper. They couldn’t find a real-life example of an American family whose taxes were going up. And so they created a fictional family. Don’t misunderstand. They did not try to convince readers that this couple actually existed. They instead manufactured “a typical American family” with certain specs, specifications, and then they ran numbers, and they created a scenario where a family would see a tax increase. It was made up, and one of the ways they did it was to use a tax preparation software called TurboTax. Well, that was even flawed. You know why? Because the version of TurboTax the New York Times used had not been revised or upgraded to include the new tax rates and reductions in the Trump tax cut! And once they used the proper version of TurboTax, even their made-up couple got a tax cut! But here’s the New York Times ignoring every family they inspected trying to find a tax increase, having to resort to making up a fictional family — and even that fictional family ended up getting a tax cut. Now, I’ve had people say, “Well, then the Republicans aren’t telling a good enough story.” I don’t know. I mean, I see Paul Ryan on TV every week touting the advantages and the results of the tax reform and I hear Trump talking about it. It’s who gets their message out first, and there was a coordinated message from the Democrats and the media that this tax cut was a tax increase — and it’s taking a while to prove that that is erroneous. ROSS: I have a great deal of respect for Gary. He was the president of Goldman Sachs. He’s made a very major contribution to this improved economic environment that we’re in. He did very good work on the taxes. He’s doing very good work on the infrastructure. So this is not about some sort of a palace coup. Gary, as you know from all kinds of media, has been contemplating some sort of a move for some little while. RUSH: Right. We’re told that Gary Cohn — so precious, so valuable, one of the only real brains in the Trump cabinet — was gonna resign after Trump’s comments after the Charlottesville rally in which Trump said there are probably good people on both sides. Gary Cohn was supposedly livid over that, prepared a resignation letter, was all set to turn it in, and then something happened and he didn’t. Then the tax cuts came along and all of a sudden Gary Cohn’s getting all the credit for passing tax cuts. Gary Cohn didn’t propose any tax cuts. Donald Trump did! Now, Gary Cohn might have shepherded it through, but look. The point is success has many fathers, and the Drive-Bys cannot credit Trump for anything. He’s too dumb, bumbling, and stupid to do anything. It has to be his advisers getting it done. But Cohn was gonna leave after Charlottesville. He had it! He’d had it; he couldn’t handle working for a bigot, racist pig any longer. But then he didn’t leave. But now the tariffs are supposedly the last straw. Gary Cohn’s leaving. The Trump economic performance continues on its upward trend line with no end in sight to it — and Gary Cohn’s departure, again, represents an opportunity. RUSH: We’ll go to Peter in Rancho Santa Fe, California. Welcome, sir. Glad you waited. CALLER: To my perspective, turnover is good in an administration trying to achieve structural changes to the government, especially one the size of ours. Gary Cohn accomplished his major assignment, which was to lower corporate taxes — which, oh, by the way, as a 65-year-old, has never been done in my life. So it’s time to replace him with people that can further Trump’s executive-driven change. RUSH: Wait just a second. You said something there. You said something very specific. You said Gary Cohn accomplished his major assignment to lower corporate taxes, which, you’re 65; it’s first time it’s ever happened in your lifetime. So you believe that that was whoever hands out assignments there, that was Cohn’s, and he did it. It wasn’t the broad-based tax cut. It was getting the Compton side of it. That was Cohn’s responsibility and that he did it? CALLER: Yes. Yes, and I believe that the other component of the president’s agenda, which was to lower personal tax rates, was given to other people within the economic advisory group. RUSH: Like who? Paul Ryan? Who? RUSH: Ryan, maybe Mnuchin over at Treasury? Wilbur Ross over at commerce? CALLER: Yes. All the above. RUSH: But that’s fascinating, your wording. You said Cohn “accomplished his assignment,” which… When I hear you say that, it means there’s some man behind the curtain who told Cohn, “I know you don’t like Trump, Cohn. But you’re gonna go there because we need corporate taxes cut and you’re the only guy as a Democrat there that can get this done,” and he’s done it. Mission accomplished. So now Cohn’s free to go join Augusta, do whatever he wants? CALLER: Correct. Correct. And, oh, by the way, Gary knew up front that Trump was going to execute tariff increases to put China in their place. This move was no surprise to him. CALLER: In my opinion, he used it as an excuse to leave. RUSH: Yeah. Yeah, I agree with you. I think that’s true. CALLER: I think this was his plan from the beginning. RUSH: I do too, because the tariffs are something that Trump had promised, and therefore nobody should be surprised by. Now, it could be that Cohn was trying to stop him. We don’t know. But even the Drive-By accounts note that his resignation has been, quote-unquote, “planned” or in the cards for a while. It’s very interesting. I’m glad you got through out of there, Peter. We have quick time-out, my friends.